The upcoming Blu-ray release of Deadpool 2 reveals unused X-Men villain Omega Red could have a cameo in the extended Super Duper Cut of the Ryan Reynolds movie. Collider shared a breakdown of special features included on the Blu-ray release of Deadpool 2. He’s connected to Deadpool in that both have a past with the Weapon X programme, and may be included in the additional 15 minutes of footage on the Blu-ray. A brand new teaser trailer for the so-called Super Duper Cut finally dropped yesterday, teasing fans with a “Longer, actionier, spandexier” experience. If you don’t want to wait at all, then you will be able to catch Deadpool 2’s “Spandexier” version at Comic-Con later this month. “Deadpool is bringing a little something special to Comic-Con. Be the first to see a super-duper special screening of Deadpool 2 and maybe some surprises,” the schedule reads. We already knew it was heading to San Diego Comic-Con, but we now have official confirmation that an extended cut of Deadpool 2 will soon be ours to own, love and treasure. Yes, a brand new teaser trailer for the so-called Super Duper Cut has finally dropped, teasing fans with a “Longer, actionier, spandexier” experience. 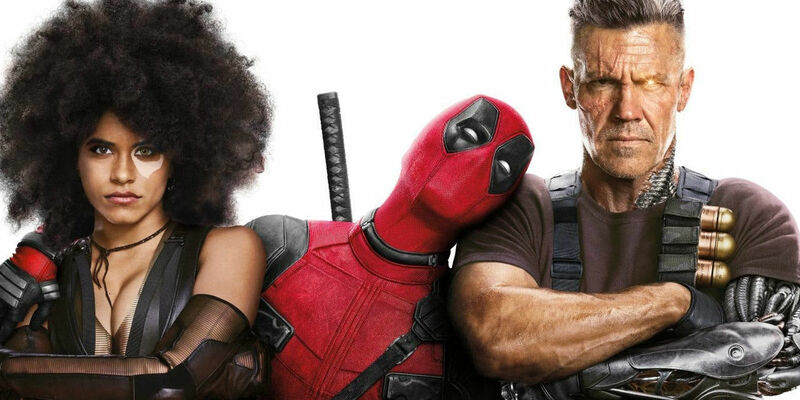 Director David Leitch may want to take Deadpool 2’s Super Duper Cut one step further as he recently told Digital Spy that it could turn into a spin-off of sorts. “I think that they may want to spin that out as a special thing, but right now I’m sort of… we’re taking our time, and it’s going back to the ‘director cut’,” he explained. 20th Century Fox has announced that they’ll be putting forth a maximum effort into the release of DEADPOOL 2 on Blu-Ray and Digital with the DEADPOOL 2 Super Duper %!#& Cut on Digital August 7th and 4K Ultra HD & Blu-ray August 21st. When the merc in the red pajamas arrives, again, with this new and tantilizing version of the box office brawler, fans will get 15 more minutes of brand-new action and jokes lovingly inserted throughout. DEADPOOL 2 IN HALL H WHENSaturday, June 215:15pm – 6:15pm WHERESan Diego Convention Center, Hall H WHATPrepare for the ultimate superhero landing as Deadpool and pals drop into Hall H for an hour of maximum effort. WHENSaturday, June 219:30pm WHEREHorton Grand Theatre444 Fourth AveSan Diego, CA 92101 WHATDeadpool drops the ultimate deuce in the Gaslamp-now with more splash! The Horton Grand Theatre plays host to the world premiere screening of the Deadpool 2 Super Duper %!#& Cut, featuring 15 minutes of never-before-seen footage including deleted scenes, alternate jokes and extended takes. Oh, did I mention that there’s also going to be a Deadpool Super Duper Dance Party as well? That’s right, kids. WHENPress previews Thursday, July 19 – Friday, July 20(by appointment only, please contact PR team with inquiries) WHEREThe Hard Rock Hotel207 Fifth AveSan Diego, CA 92101 WHATHave you ever wondered what it would look like if Deadpool and Blind Al took over the Hard Rock Hotel’s most expensive suite? Probably not, but you’re going to find out anyway! Digital video service Vudu Movies & TV, has partnered with Twentieth Century Fox Home Entertainment to host a sweepstakes for one lucky Comic-Con attendee to win a stay in the Deadpool Dream Suite on Saturday evening. Following the grand prize winner’s stay in the Dream Suite, Vudu will host a giveaway of select loot from the suite so fans can take a piece of the Deadpool Dream Suite home. DEADPOOL TWO YEAR ANNIVERSARY EDITIONThe OG, now available in collectible packaging with an assortment of limited edition party favors including stickers, car decals, temporary tattoos and a set of paper dolls that will let fans bring even their most depraved Wade Wilson fantasies to life. Deadpool 2 is coming home, and its longer than ever. ComicBook.com can now reveal the Best Buy exclusive Steelbook version of Deadpool 2 that’s just gone up for pre-order. Deadpool 2 has so far grossed $314.5 million domestically and $727.4 million worldwide. Are you excited to see the Deadpool 2 extended cut? Will you be at the screening at San Diego Comic-Con? What do you think of the Blu-ray special features? Let us know what you think in the comments section!